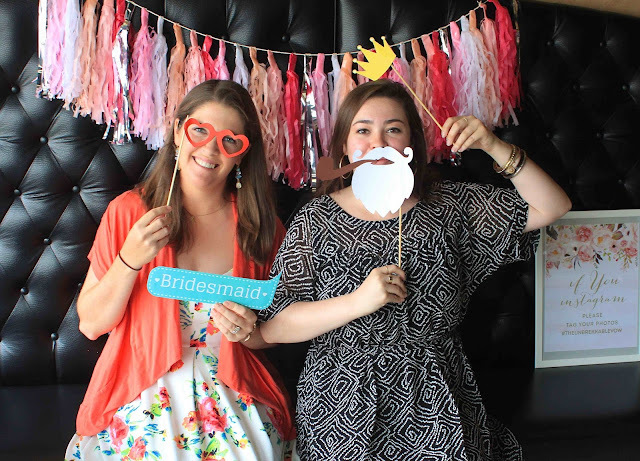 I love any opportunity to get to link up with Macy and Nikki for Wedding Wednesday, and today is no exception! 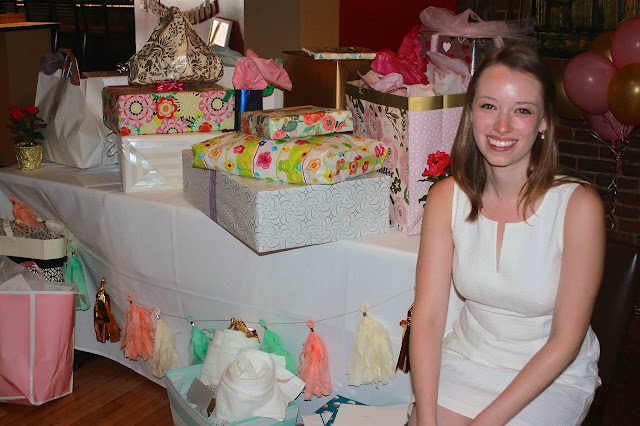 About a month ago, family, friends, and I celebrated the bridal shower of my beautiful sister-in-law, Laura. She gets married in just over 2 weeks, so I figured it was about time to share everything we did that day. 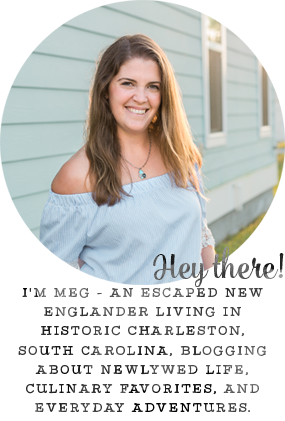 You can check out the post from the first half of the weekend (her bachelorette!) by clicking here. 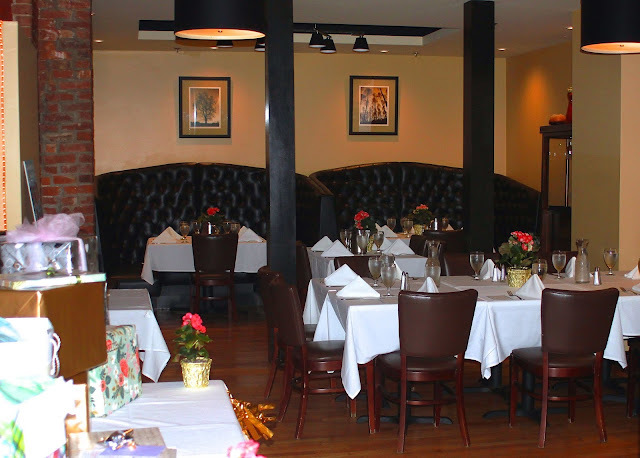 We decided on a brunch theme and held the shower at a cute little Italian restaurant in central Massachusetts. With family coming from all over New England, it was the perfect location for everyone. 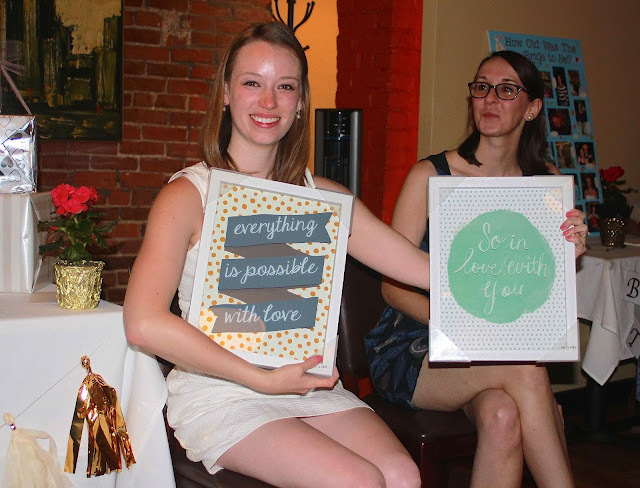 We focused all of the decorations for the shower around this beautiful Etsy bridal shower invitation suite. 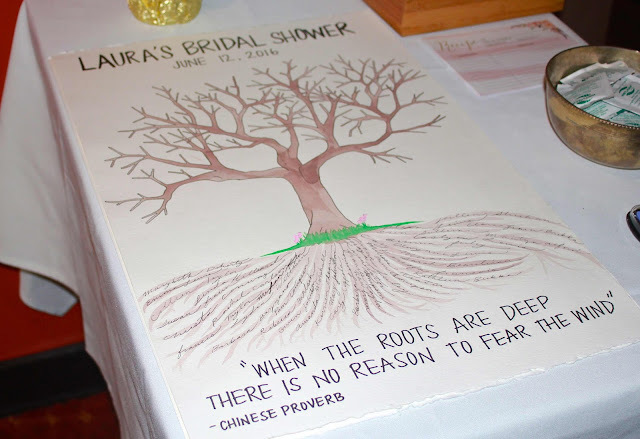 You might not be able to see, but one of the MOH's sisters made this thumb print guest book, and she actually put all of the guests' names as the roots of the tree. It came out so beautifully! 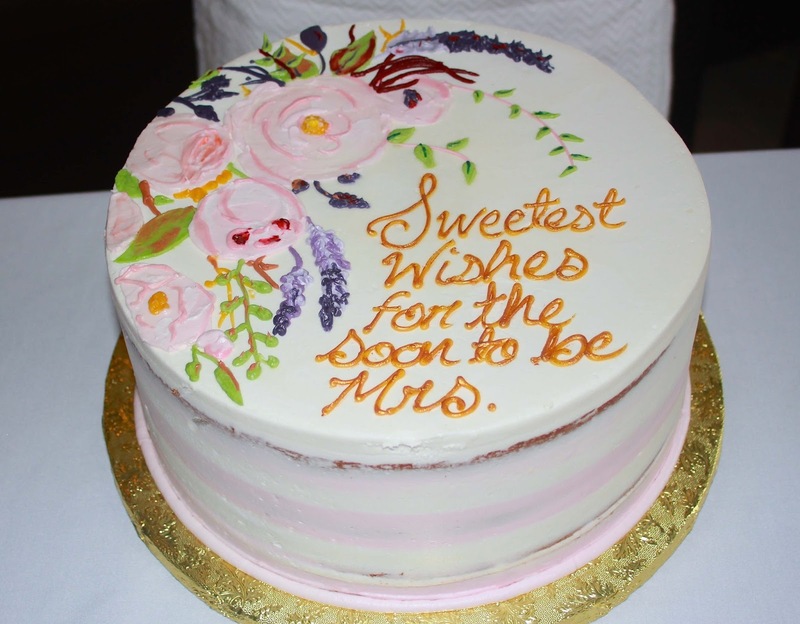 As additional gifts for the bride, guests were sent blank recipe cards in their invitations and asked to bring a family favorite back to give to the bride. 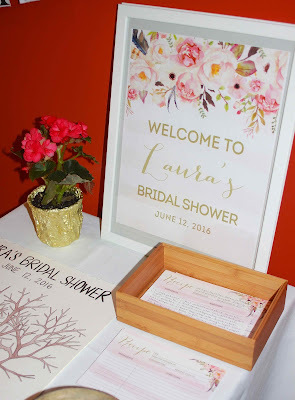 My fellow bridesmaids and I also gave Laura these matching thank you notes, all stamped and return addressed to make her "thanking" after the shower much easier. For games, I rounded up all the photos I could find from her dad's house, and we did "How Old Was The Bride?" Her childhood babysitter won - how sweet is that?? 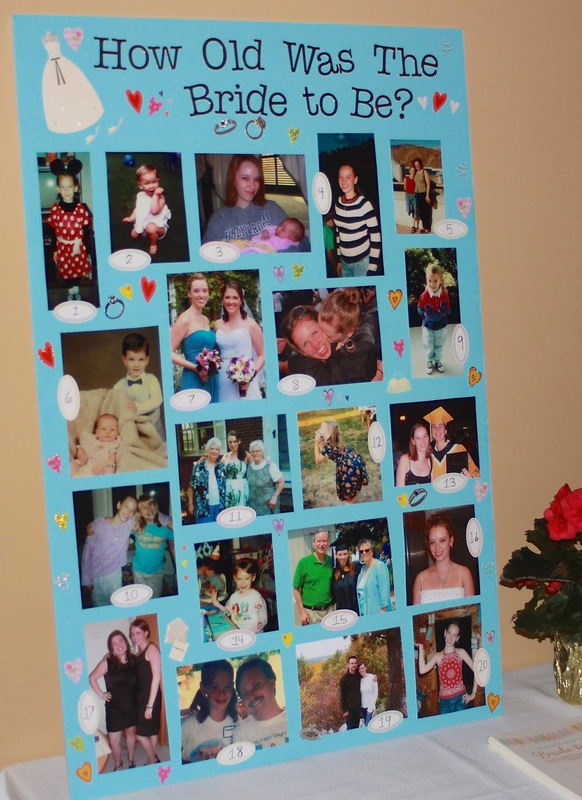 We also reused a lot of the decorations from her bachelorette, since the colors were the same, and made another photo booth - guests loved it! Even the cake matched the colors of the decorations. It had chocolate ganache in the middle, and was SO delicious! 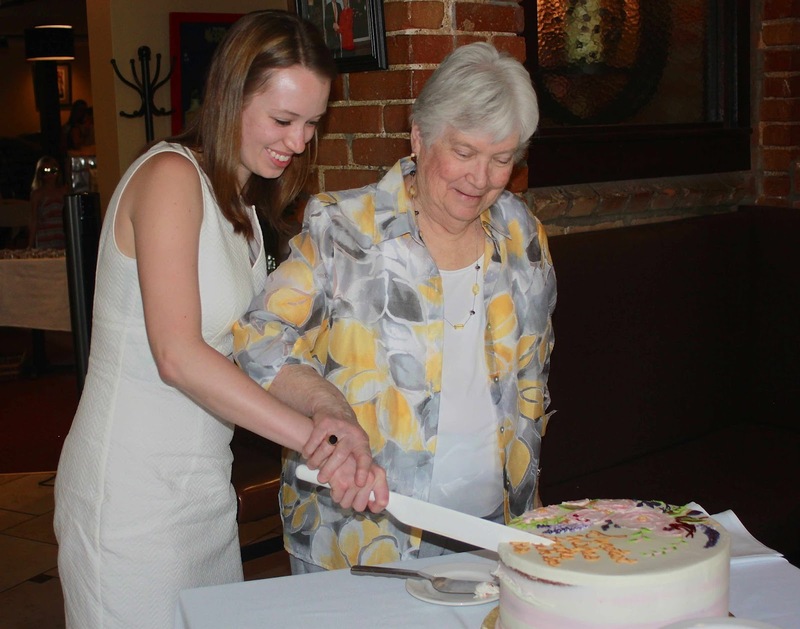 Laura cut the cake with her grandmother before she opened her gifts. Not pictured, but another bridesmaid came up with a great game to play during the gift opening that really kept everyone engaged. She gift wrapped four candles and gave one present to each table. On the front of the bag was a list of ways the bag could be passed: "pass two to the right if the item is for the kitchen, hand to your neighbor on the left if the gift contains wood, pass across the table if it's something green, etc." Everyone was very intently paying to each gift, and those ladies who won loved their surprise gifts at the end. Love that game during the gift opening! My friend is getting married in March and I am a bridesmaid I will have to remember this!! how cute is that shower! so pretty - all of you. and that game is a great idea. love all the details! I love this post. Laura's shower looks like it was absolutely incredible and I'm not surprised since you are so creative and you guys included such special details. I love the games that you played as they are different from the usual ones played at showers. 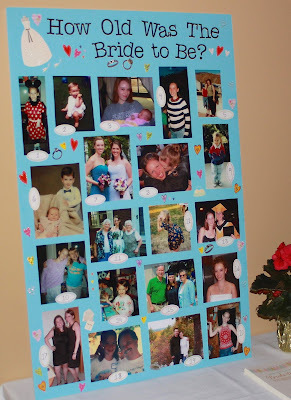 Y'all played some fun games at the shower, especially the one for during the presents. That's definitely one way to keep everyone's attention! What a beautiful event! :) I love all of the details. This looks like a wonderful shower! I'm sure she loved it. What a fun game! I also love that you used the decorations over again, that photo booth is so cute! Great job! That cake is so pretty! What a fun shower! Is that a tshirt of some sort with the tree on it? Were people signing it? I loved the family tree idea with writing the family members names on the roots. What a great idea! Looks like everyone had a great time. That game with the candles sounds like so much fun, and a great way for everybody to stay engaged throughout the whole day! I also love that y'all got to reuse some of the bachelorette decorations! They were too cute to not use multiple times! 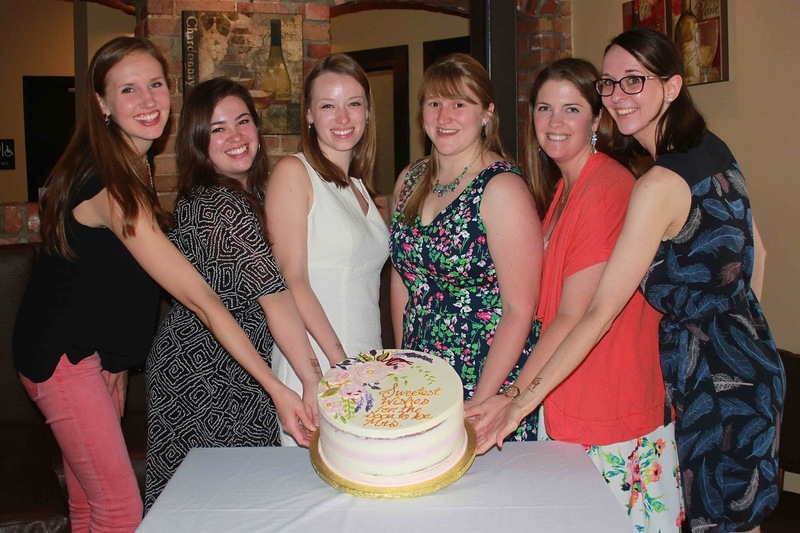 A bridal brunch! What a perfect way to celebrate...I can't believe we haven't done this before. 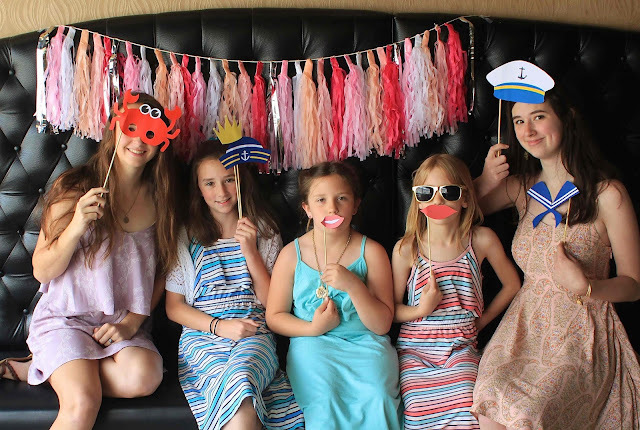 Looks like you ladies had so much fun!